I just spent a fabulous weekend at a conference for World Vision Child Ambassadors (of which I am one). 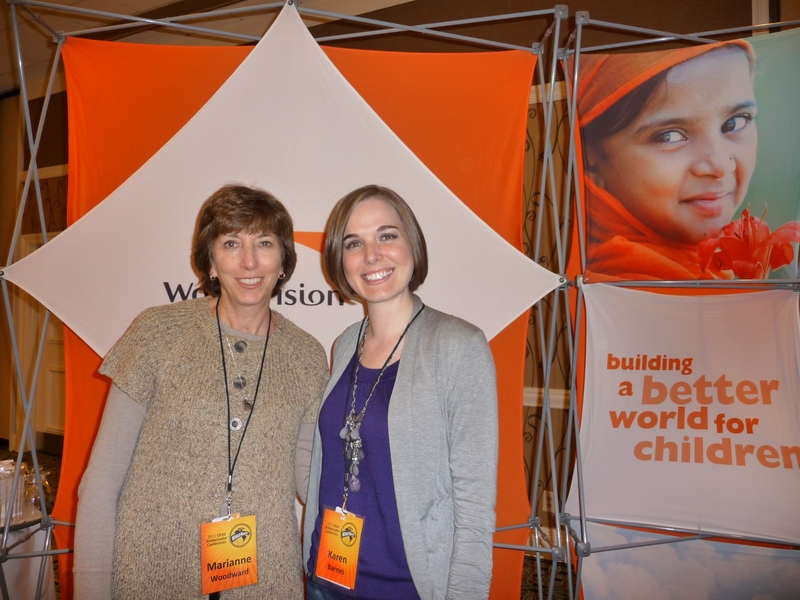 We are volunteers who aim to talk to others about World Vision’s child sponsorship program. It was a wonderful weekend of refreshment and encouragement for me in my ministry of finding sponsors to change the life of children in need. More of what I heard and learned this weekend may come out in some future posts, but one of the highlights for me was what Max Lucado spoke to us about. I have heard him speak numerous other times, but this time, he told us that he had taken what he was going to speak about and chucked it out the window, feeling that the Holy Spirit was leading him to share with us a message that he’d be sharing with his church in the near future. It was essentially a sneak peak of a brand new sermon from Max Lucado. God lavishes generous amounts of grace on us every day of our lives. And “grace is the seed out of which the tree of generosity grows.” It only makes sense that since we have received so much grace and generosity, we must bubble over to others. We must give because we first received. We must heed the call to live a life of controversial generosity. Does this convict anybody else like it convicts me? I’m not even sure I can think of one good example, sadly. How long has it been since you gave a gift that was controversial? Over 1.1 billion people are without access to safe drinking water. On average, women and girls in developing countries walk 6 kilometers a day, carrying 20 liters of water, greatly reducing the time they have for other productive work or for girls to attend school. When a community gains access to clean water, its child mortality rate drops by half. In the US we each drink an average of 200 bottles of water per year (17 million barrels of oil are needed to produce all the plastic water bottles we use in the U.S. each year — and, shockingly, 86 percent of them will never be recycled). Clean water is definitely something we take for granted. Most of the time we don’t even notice how much we use. This is something we must become more aware of and we must work together to do something about. 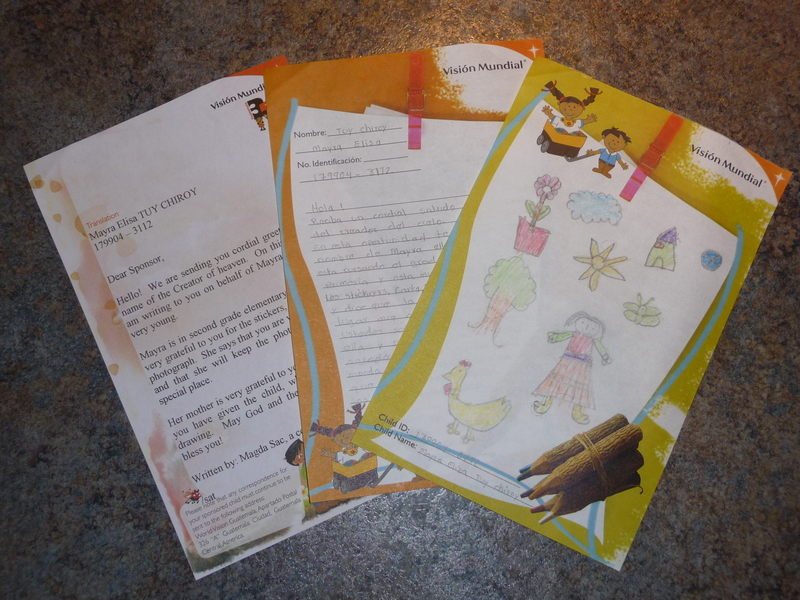 This is the letter, translated letter, and drawing we got from Mayra, our sponsored child through World Vision. We sponsor a child through World Vision. Her name is Mayra and she lives in Guatemala. She is so precious. We’ve been sponsoring her for a year now. One of the highlights of sponsorship is writing to and receiving letters from your child. Many sponsors don’t take the opportunity to do this and it’s really unfortunate. The letter writing process is one of the ways to make it really personal. She’s not just a name & a photo. We are getting to know her on a personal level, and she is getting to know us. I came home today after work and found one of those World Vision envelopes in our mailbox. It was as exciting as opening a Christmas card or something! I love when letters from her come, and I know she probably feels the same way to get one from us. She is young (only in the 2nd grade), so she is currently not actually writing the letters, but someone in the community writes them on her behalf – either a staff member, or last time it was her brother. But with almost every letter she draws a picture for us and sends that along. We put them on our fridge! Sometimes we also send little flat items along. In the last letter it said that she loved the stickers we sent her and that she was going to hang them up in her house “to remember us always”. In this letter it talks about the photo of us that we sent and it says she is going to keep it in a very special place. If you are a sponsor, I would highly encourage you to make sure you’re sending letters regularly to your child. It makes a world of difference and they treasure each and every one. It’s a great way to stay connected and be able to share bits of life with each other. 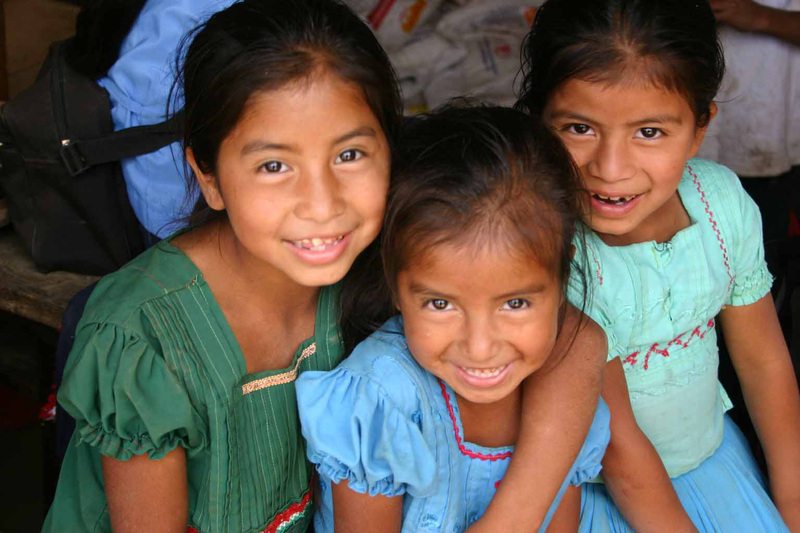 If you’d like to know more about sponsoring a child, go here. 26,000 children die every day due to preventable causes. 26,000? Really? That is really hard to wrap my mind around. 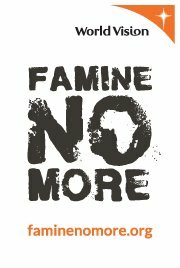 Every five seconds a child dies to hunger. 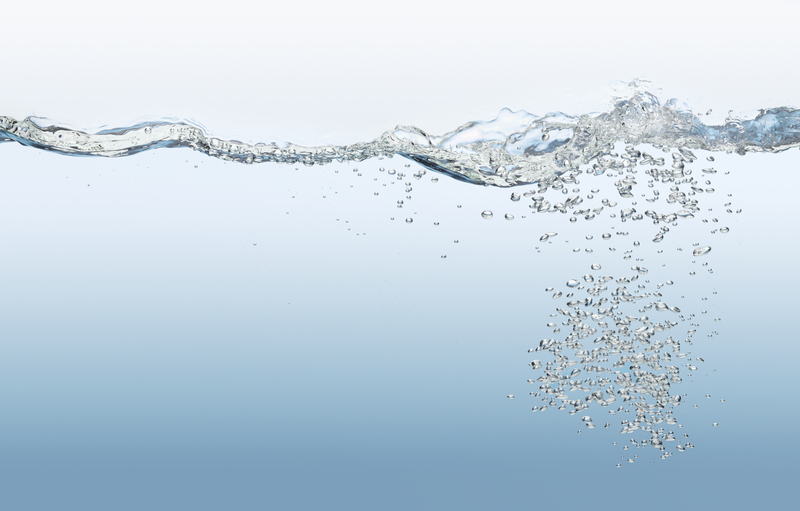 Every fifteen seconds a child dies due to a water related disease. 15 million children have been orphaned due to the HIV/AIDS crisis. Why Are We Called to Help? It didn’t take much, but it made a difference to one family. It started with one phone call last week describing the need. Then it was one email to a group of friends asking for help. In a matter of a few days, we had a handful of giftcards to Kroger to help provide a refugee family with food, when they had none. It required a very small contribution from each couple. Literally something we’d never even notice was gone. But once added up, for that one family that had no food, it was significant. I get very sad when I hear people say that they can’t make a difference, that they have nothing to contribute. There is always something you can do. It doesn’t always have to be a trip to a third world country or a major monetary donation. All it requires is to remain aware of your surroundings, to remain receptive to the promptings of the Holy Spirit, and then to respond in obedience and out of love for fellow human beings. Something that seems really small to you can mean the world to someone else. It can mean one more meal when they have none.